Sport Australia CEO Kate Palmer says schools are a key vehicle to solving the nation’s inactivity crisis, launching the 31st Australian Council for Health, Physical Education and Recreation (ACHPER) International Conference at the AIS today. Sport Australia is sponsoring and hosting the ACHPER conference at its AIS campus in Canberra from Monday to Wednesday, with some 250 delegates from around the world including physical education teachers, sport educators, coaches and associated health practitioners. A report card released by the Active Healthy Kids Australia late last year scored Australia a D-minus for children’s physical activity levels, ranking our nation 32 of 49 countries. Research shows 81 per cent of Australian children are not meeting our physical activity guidelines. “This is not good enough because we know sport and physical activity can play a crucial role in the holistic development of children, putting them on the path to vibrant and productive lives,” Palmer said. “It can impact positively on their physical and mental health, social development, and their ability to learn. “There is also a long-term gain because we know children who grow up active and playing sport are 10 per cent more likely to remain active as adults. The Australian Government’s $200 million Sporting Schools program, managed by Sport Australia, is one example of how Australian children get free access to physical activity. In just over three years, the program has reached 84 per cent of Australian schools. 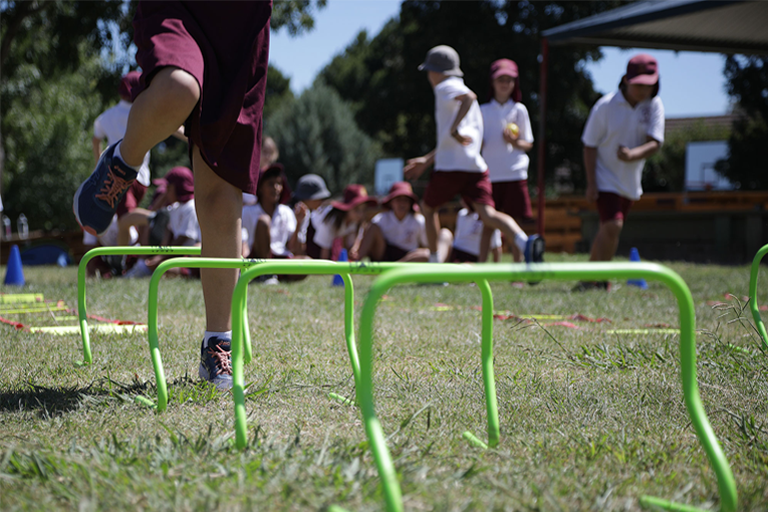 The Australian Government’s $200 million Sporting Schools program, managed by Sport Australia, is one example of how Australian children get free access to physical activity.